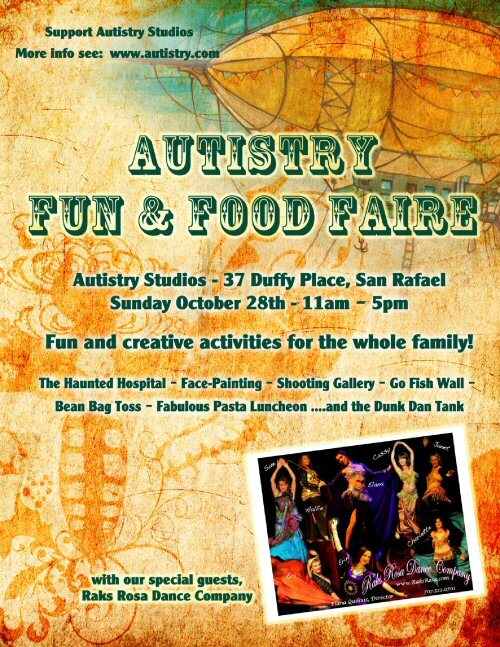 Mark your calendars for the first annual Autistry Fun and Food Faire. Sunday, October 28th from 11am to 5pm. There will be lots of activity booths, a wonderful luncheon, student projects on display, and … the Dunk Dan Tank! If you would like to sponsor an activity at the Faire please check our Faire Sponsorships Form. 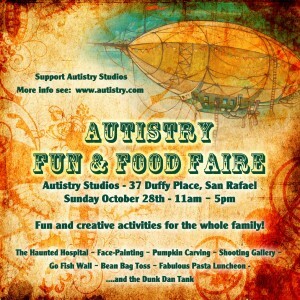 Sponsoring an activity booth and coming to the Faire are great ways to support the work of Autistry Studios. The Autistry Fall semester is in overdrive! This is one of the most productive semesters yet and we’re only in September. Old projects are being finished and new projects are underway. The studio is humming. Ian G. and Danny S. have added new items to their LARP weapon arsenal including a beautiful shield, a two-headed sword, and several other swords of varying lengths. Ian G. is building a special display rack so that all the weapons can be viewed at the Autistry Fun and Food Faire. 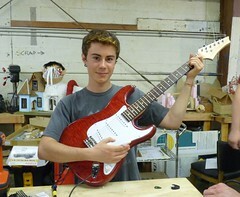 Daniel S. put the strings on his red guitar last week and it looks and sounds magnificent. Ryan will string his sparkling green guitar this week. Their guitars, along with Daniel M.’s many hand-built musical instruments (acoustic and electric guitars, dulcimers, flutes and a theramin), will be showcased and played at the Faire. Other Friday Group projects include Alex’s graphic novel that he has been working on with Jack. We hope to be reading that soon! Julia is finishing up the cushions on her new wooden chair. April has completed a Sherman tank and is tackling another. Jon is converting a GI Joe into a Samurai warrior – and it is looking good. Rinny will have her fairy quilt ready for display soon. And, Owen has now written and illustrated his fourth book! It is hard to keep up with the Thursday group. Several students are making costumes. Chris is creating a character from Star Wars (complete with helmet and armor!). Danny S. is recreating a mask he saw at the Museum of Modern Art in New York. Ross has just begun amazing Aztec warrior regalia. And we are looking forward to seeing Corey as Frank N. Furter. 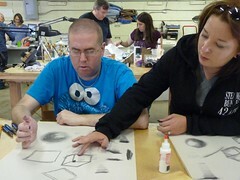 The Sunday workshop draws on all the talents of the Autistry staff. Nathaniel is making a dragon diorama and putting together his amazing dragon drawings in to a Dragonology. 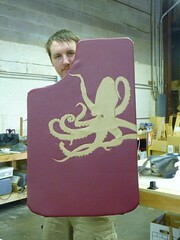 Ben L. just finished his first tank and will be working with Ian G to make more swords. Marina is building one of Autistry’s favorites – the Tardis from Dr. Who. Ian S. is building a full-sized teardrop trailer – getting ready to hit the road. 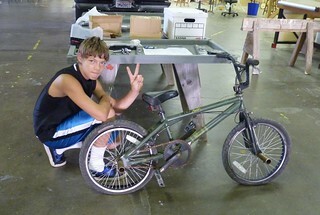 A big thank you to the Recyclery for donating a BMX bike that George is completely rebuilding into a red and black mean machine. And … principle photography is now complete on Ben C.’s film: Barugorus. The new trailer for this epic film will be screened at the Faire. Hope to see you all at the Faire!